For maintenance of your grease trap, try this product…. Product Details: Ready-to-use beneficial friendly bacteria gently digest fats, oils, grease, proteins, starches and food found in systems where there are large amounts of food oils and grease. 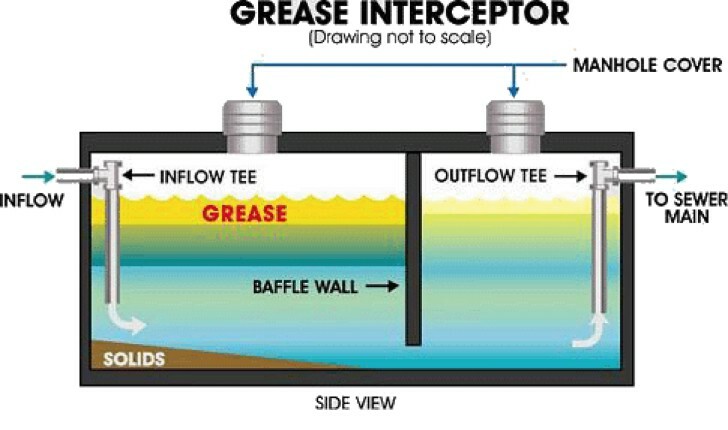 Problems Solved: Reduces grease trap pump out volume and frequency by ensuring grease traps operate smoothly. Can also be used in septic tanks, lift stations, cesspools, pipes and traps. Directions for Use: For optimal performance, apply through floor drains, sink or directly into the grease trap system. Initially applied daily for first week and then weekly with pro-portional amounts shown for small to large traps. See Directions on Bottle for application. starts microbial activity with bacterial cultures that rapidly break down carbohydrates, cellulose and fats.